No place in the world is as dog-eat-dog as New York City. With over 8 million residents, it’s no surprise that things can get slightly competitive here. No matter your field, you need to stand out from the pack to get ahead. This couldn’t be truer than in the rapidly growing pet service industry. The number of pet owners in the city is higher than ever before, and with growing numbers comes a growing demand for services. But pet owners are looking for more than just a walk around the block; they want curated, unique experiences for their furry friends. From running with a marathoner to custom photoshoots and training experiences, these pet pros offer services that go far beyond those of traditional dog-walking companies. And the best part? You can book them right now on the Romio App! Get to know the people you (and your pup) won’t be able to stay away from. Growing up in the mountains of Spain, Gabe Riesco’s love for animals began at an early age with his family’s pack of Mastine Sheepdogs. It is here that he learned first-hand the powerful connection between canines and their owners, and the integral role this bond plays in nature. Fast forward several years and Gabe found himself in the U.S. studying at the highly acclaimed Berklee College of Music. Despite moving to NYC and launching a successful Jazz career, Gabe never lost his love for animals. When an injury to his left hand tragically brought his Jazz career to an end, his wife cheered him up by getting him a dog. The new puppy, Ralphie, reignited Gabe’s passion for animals and inspired him to launch a dog walking and training career. His company, Paw mosFet Care, looks at a walk as more than just a potty break for your furry friend. It’s an opportunity for exercise, socialization and trust-building. All walks are done by Pet first aid/CPR-certified dog handlers and include GPS tracking and real-time alerts and daily reports for owners. Besides walks, Paws offers unique training programs that focus on creating peace and harmony between dogs and humans. This inventive approach to training extends beyond just conditioning your furry friend, but improves your bond and communication with them. Your pup won’t be able to get enough! Click here to book a session with Gabe and his team on Romio now! 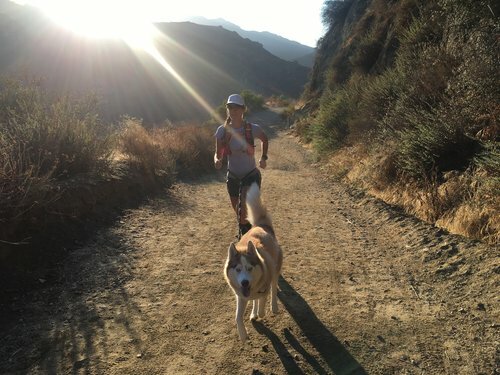 Amber Mack | Founder & President, Canine Running Co. Native New Yorker Amber Mack first discovered her passion for running while training for the New York City Marathon in 2010. It was this race that inspired Amber to leave her successful publishing career behind and immerse herself in the world of health and fitness. A move out to L.A. brought Amber face-to-face with another one of her passions—dogs. "Dog Runner" became her new professional title when she began working at the reputable dog running service, Paws In Motion. It was here that Amber found her true calling and returned to Brooklyn to launch a dog running service of her own, Canine Running Co. CRC offers services that go far beyond those of traditional dog walking companies. Despite serving dog owners in the Concrete Jungle, CRC prides itself on avoiding city sidewalks during runs. Personalized one-on-one runs are done in areas void of crowds, noise, trash and distractions. The goal of CRC staff members is not to be your pup's personal trainer, but their running buddy. Your dog can enjoy all the physical and mental health benefits of running with a trained athlete by their side. Click here to book a session with Amber and her team on Romio now! After graduating from college in 2012, Ben Chaplin moved to New York City to begin his career. It took one job working behind a desk to make Ben realize that a traditional career path was not for him. He left his role at a media placement agency behind and explored the world of dog walking. Fast forward to 2016 and Benterprise Dog Walking was born. What makes Benterprise unique is that they only serve clients on the Upper West Side of Manhattan and only employee local dog walkers. This allows them to offer walks and services at hours most traditional companies cannot. 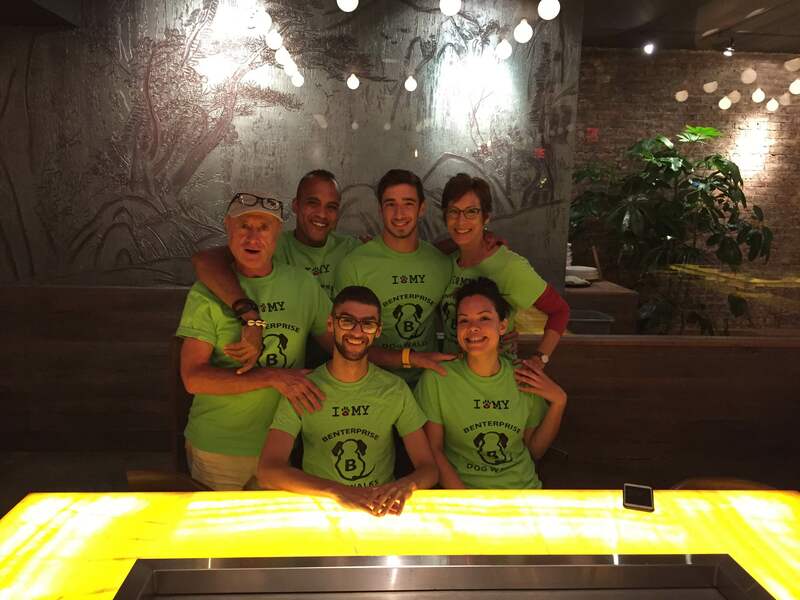 Whether it be a holiday or a random Tuesday at 2 AM, Ben and his team pride themselves on being available for your pup. Additionally, Benterprise pays its employees well above the industry standard so they can focus on being long-term, full-time walkers. This allows you and your pup to foster a real, lasting relationship with a walker who doesn't just consider dog walking a part-time gig. Click here to book a session with Ben and his team on Romio now!